The shampoo softly cleans the hair while facilitating untangling for lustrous, soft, and slightly fragrant hair. 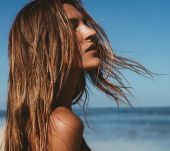 Thanks to its unique vegetal collagen-enriched formula, it adds luster and shine to dull-looking hair. Its hydrating formula, rich in protein, forms a layer at the surface of the hair, thereby preventing the fiber from becoming dehydrated. Repaired and rehydrated, hair is smooth and silky. Apply the shampoo by gently massaging your scalp. 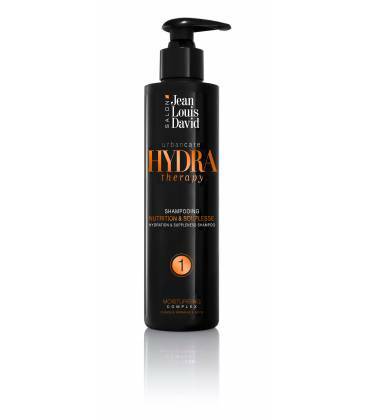 Let the Hydra Therapy shampoo sit for two to three minutes, then emulsify by adding a splash of water before rinsing thoroughly. Your hair should squeak when you rub it! Finish your rinse with cold water to tighten the cuticles and smoothen out the fiber for even shinier hair. 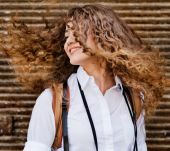 How can you relax curly hair?